A full roster of Irish music nobility will be onstage over Memorial Day weekend as Chicago Gaelic Park celebrates 30 years of Irish Fest in Oak Forest. A Chicago area tradition for all ages, this indoor/outdoor fest not only brings the best of contemporary and traditional Irish headliners, but also features a full carnival with rides, special events for children, Gaelic football and hurling, Irish stepdancing competition, theater, pony exhibits, and shopping all surrounded by food, refreshments and great fun at one low price. There will also be a tent dedicated to the 100th anniversary of the 1916 Easter Rising which will showcase the specially designed float that was in the St. Patrick’s Day parades. In addition the Youth Living History Exhibit created by third to eighth graders will be on display. With non-stop music, free on-site parking, free carnival rides and early online ticket discounts, Irish Fest at Chicago Gaelic Park has become one of the country’s premier musical events with some of the best and brightest talent appearing on stage this year. The Wolfe Tones, currently celebrating over 50 years on the road, continue to be one of Ireland’s biggest box office attractions. Having sold out prestigious venues during the past year across Ireland, U.K., Europe and the U.S., this rabble-rousing group has inspired many to fight against the injustices in Ireland with their poignant, powerful and unsurpassed style of music. Socks In the Frying Pan, a multi-award winning trio from Co. Clare, blends Irish traditional melodies with their own personal flair which has gained them critical acclaim and accolades including New Band of the Year by the Irish Music Association. 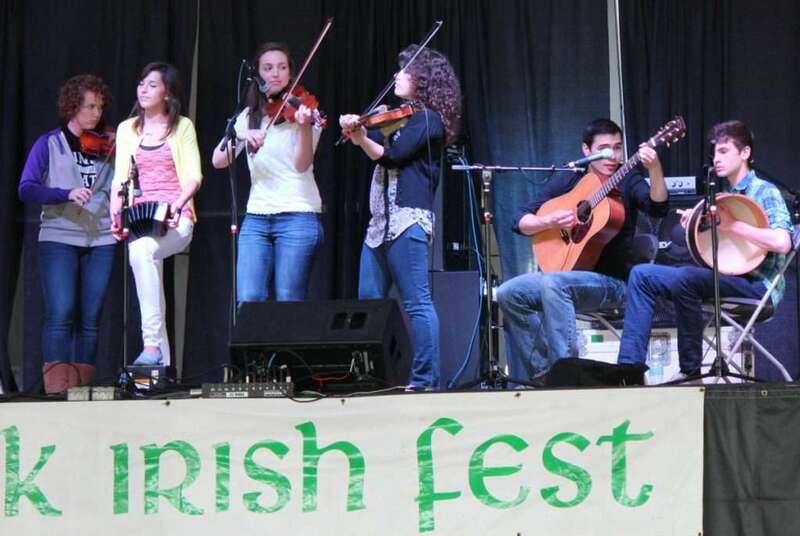 With their modern traditional style, and energetic approach to music, this youthful group have become one of the most popular and sought after groups for every major Irish festival in the U.S. The tradition continues with The Makem and Spain Brothers, the internationally known band that keeps the music alive and defines where Irish folk music is going. This band of brothers has played before millions of people in the U.S., Caribbean and Ireland. Rory Makem was born in Drogheda, Co. Louth and continues an Irish musical dynasty begun by his grandmother Sarah Makem, and his famous father, Tommy Makem. The Spain Brothers also learned Irish songs at their father’s knee. JigJam (Co. Offaly), the hottest new act on the Celtigrass music scene, blending the best of bluegrass and Irish folk music, will also play at the fest. Also making their first appearance is Lachlan, the Singing Pilgrims and the New Invaders. Returning festival favorites include the Screaming Orphans, the Fenians, the Elders, Chicago Reel, Paddy Homan, Larkin and Moran Brothers, Kathy and Andreas Durkin and Larry Nugent, Shannon Rovers Pipe Band, Pipes and Drums of The Emerald Society, and many more. Chicago Gaelic Park is located just outside the Chicago city limits in Oak Forest. A full day pass to four musical stages, live theater performances, full carnival with unlimited rides and free on-site parking is only $15 — $10 first hour only. Early online discounts can save up to 60 percent. Adults over 65 years and kids under 12 are $12. Youngsters three years and under are free. Online discount tickets, a complete Irish Fest performance schedule and directions are available at www.chicagogaelicpark.org.